With one of its major IPs drawing to a close, the master fighting game maker is looking to something new. As for the story of other BlazBlue characters, nothing definite has been set, however, in a separate interview, Arc System Works top man, Minoru Kidooka, said that “Mori has said to me, ‘the next game I make won’t be a fighting game.’” indicating the current producer was looking to take a break from the genre. 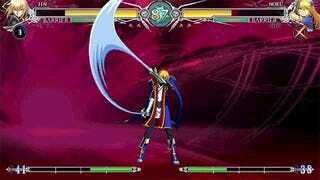 BlazBlue: Centralfiction is scheduled to hit arcades in Japan this winter.